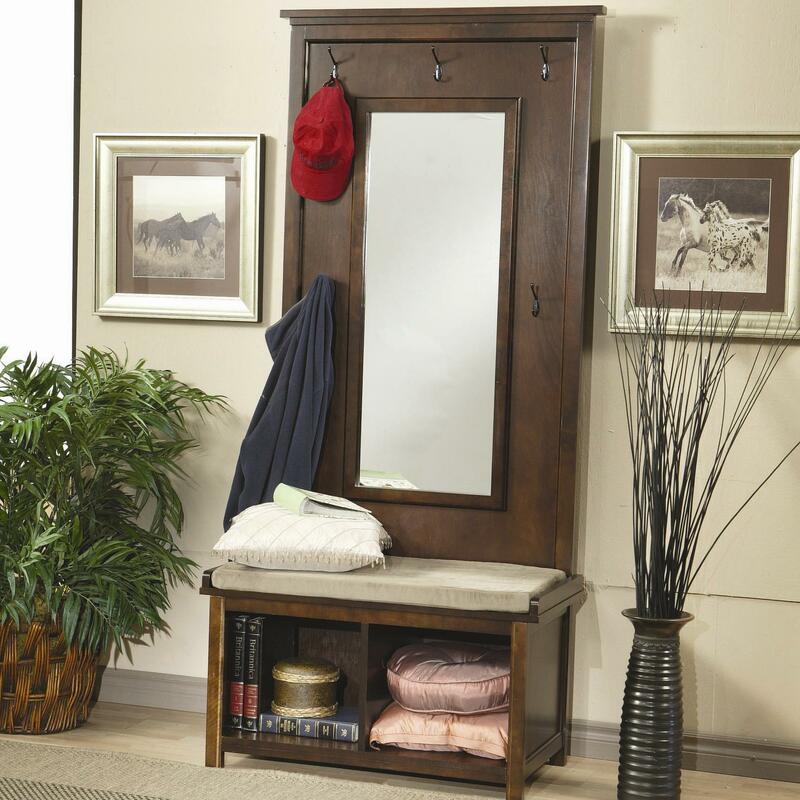 You can have it all with this hall tree placed in your entryway. The beautiful piece carries an attractive dark walnut finish and features a padded cushion seat, storage shelf, coat hooks and mirror. Whether you want to store blankets, hang-up a jacket or give yourself a glance over before you head out the door, this multifunctional hall tree will provide it all. The Accents - Coat Racks and Hall Trees Hall Tree and Coat Rack by Coaster at Value City Furniture in the New Jersey, NJ, Staten Island, Hoboken area. Product availability may vary. Contact us for the most current availability on this product.